Alaska's northernmost regions could see a possible 15 percent jump in population over the next few decades, according to a new report from the Department of Labor and Workforce Development. "While the future is always uncertain and the projections change with each release, they offer our best and most current insights into Alaska's population trends," wrote Eddie Hunsinger, the state demographer who wrote about the projections for the August 2018 edition of Alaska Economic Trends. The projections take into account birth rates and death rates, along with migration trends for particular areas. The northern region, which includes the North Slope Borough, the Northwest Arctic Borough and the Nome Census Area, is anticipated to see some of the greatest growth in the state. The Matanuska-Susitna Borough leads the growing regions with a projected 61 percent population increase by 2045, far outpacing every other region in the state. The Southwest region, which includes the Aleutians, the Bethel area and Bristol Bay, could see as much as a 19 percent increase. "The Northern and Southwest regions are younger and have higher birth rates and lower death rates than the rest of the state," wrote Hunsinger. "We project this will continue, and while age structure alone would suffice for growth, this trend will be compounded by high fertility rates." The baseline population estimates for the report came from July 2017. The North Slope Borough had an estimated population of 9,849 residents at that time, with about 6,000 male and just under 4,000 female. The median age for all was 33. That's expected to grow to about 10,033 people by July 2020. Gradually, the increases will get larger over five-year increments of time. Based on growth rates of about 0.6-0.7 percent every five years, the North Slope Borough population will reach 11,819 by 2045. The baseline for Northwest Arctic Borough in 2017 was 7,850 people. That's made up of about 4,200 male residents and 3,600 female residents, with a median age of 27. The population there is expected to fall slightly over the next few years, with gains in female residents unable to make up for projected losses of male residents, and a population standing at 7,831 by 2020, or a growth rate of -0.1 percent. From there on, though, the population is expected to grow, seeing growth rates rising from 0.2–0.5 percent through 2045. The projected population for that year is 8,571. Finally, for the Nome Census Area, the 2017 baseline was 10,006 people, with a more even male-female split at about 5,300 of the former and 4,700 of the latter, and a median age of 28. That will grow slightly to 10,038 by 2020. Growth rates there will see a spike from 0.1 percent in the first five years to about 0.7 percent by the last five of the projection. The population in 2045 is anticipated to be 11,462 people, almost divided down the middle for male and female residents. Overall, the Northwest Arctic Borough is expected to see the smallest total growth at 9.18 percent, with 721 additional residents. Nome should see an increase of about 14.5 percent and 1,456 residents. 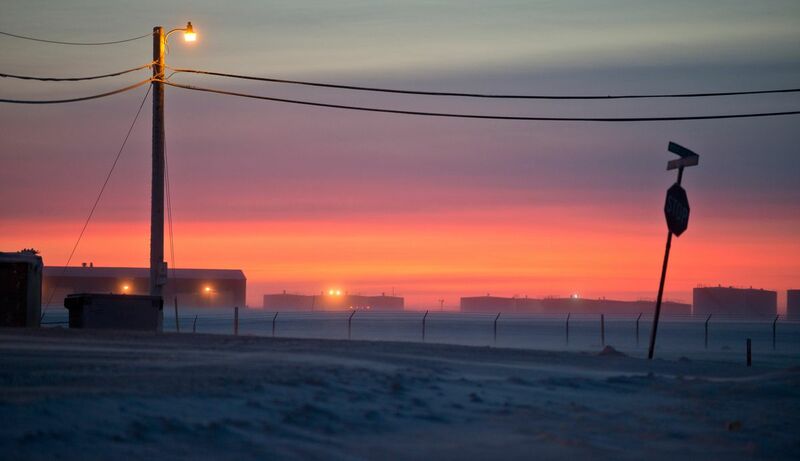 The North Slope Borough may see the greatest change at 20 percent and about 1,970 people. The report's authors note that, perhaps as would be expected, aging was the easiest factor to take into account. Population estimates for people age 50 in 2007 give a fairly good picture of what the numbers will be for 60-year-olds in 2017, for example. "In each published population projections report, we noted that migration, and particularly net migration — the difference between in-migration and out-migration — is the most uncertain component of population change," the authors noted. While population growth may be good for an area's economy, it also potentially raises concerns around services to care for additional people in a particular area. For example, both the Northwest Arctic Borough and the North Slope Borough are currently suffering from a housing crunch (with inadequate quality and quantity of housing for residents). If options don't keep up with population change — which could be as much as 20 percent — that problem, and others like it, could be compounded. The Alaska Economic Trends report can be found online at labor.alaska.gov/trends/aug18.pdf. Full population projections are at live.laborstats.alaska.gov/pop/projections/pub/popproj.pdf. This story is republished with permission from The Arctic Sounder.